...your picture is showered in glitter! This gift is worth a thousand words! 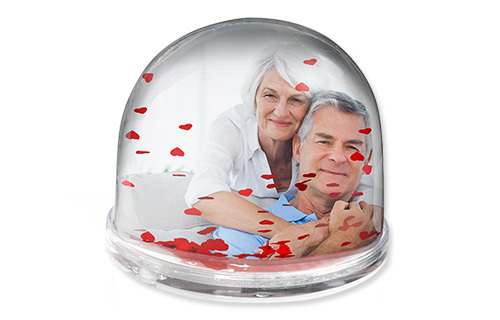 Instead of snowflakes, little glitter red hearts make this snow globe an excellent gift and also as a decorative object always a real eye-catcher! The ball is made of plastic and filled with water, and your photo will be supplied separately. Add the photo and your gift is complete.